Doc’s background in professional music dates him, having performed keyboards, back-up vocals, and some lead vocals for several week-end rock bands in the 1970s. While pursuing a career in education for 33 years, he did perform occasionally as a solo musician for community events, church services, weddings, and funerals. In the early 2000s, he performed with a praise band for the church he attended. Since that time, most of the music he has performed has been contemporary Christian music with the occasional original song for his church. Now retired from education, God has led him to pursue a Christian Music Ministry. For several years, Doc did not listen to His call. The Lord kept pushing him to answer and he finally did so. He now takes his Christian Music Ministry to churches throughout Iowa. 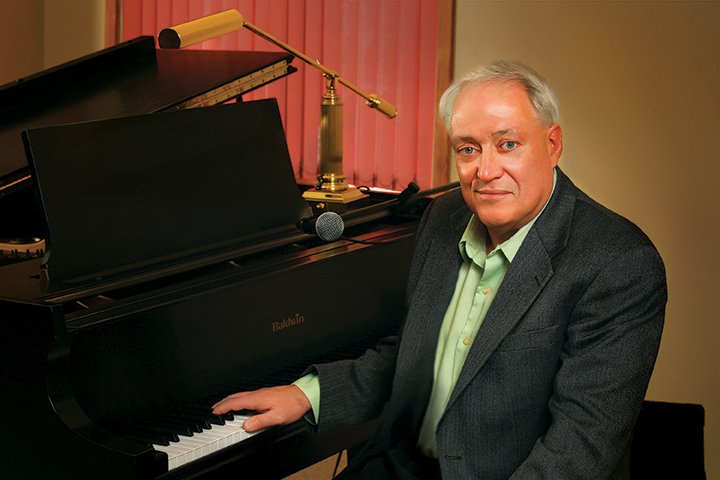 He performs several of his original compositions, a few contemporary Christian songs, and relates several amazing, but true stories of faith from personal life. Most of the songs from his album are included in the program, and he uses backing tracks off this album as he sings and plays live. The musical result he strives for is to sound nearly the same live as he does on the album. In writing his original compositions, the music nearly always comes first and the lyrics are added later. Most of the time, Doc writes the music to a song in a matter of a few hours. Some of his songs were written years ago and had never been recorded. Doc liked the way “Blue Skies on a New Day” sounded as an instrumental song only, so he never did write any lyrics for it. He wrote this song in 1979! “Angels” is the most recent song written and it was written in late fall of 2016. “Mary Did You Know?”, written by Mark Lowry and Buddy Greene, is a personal favorite song of Doc’s. Many talented musicians contributed to the “Until He Returns” album. Guitarist James Biehn is a much sought after studio musician, owns his own teaching lab, has an album of his own, and plays in a couple of bands in the Des Moines area. Saxophonist Jerry Peoples is a veteran musician who has been a professional for many years and is generally considered one of the best sax players in the area, if not the state. Jon Locker, owner of Sonic Factory Studios, is not only a talented engineer/producer but is also a gifted bass player. Drummer Sam Mogerman has played in several Des Moines area bands and is a veteran studio musician in high demand. Several others contributed to the back-up vocals, including outstanding high school singer Breanna Penenger, her mother Michelle, and Doc’s daughter-in-law Christa McCaulley. A list of upcoming scheduled performances can be found below. Doc’s usual performance’s include live music and stories from his and others’ life experiences. 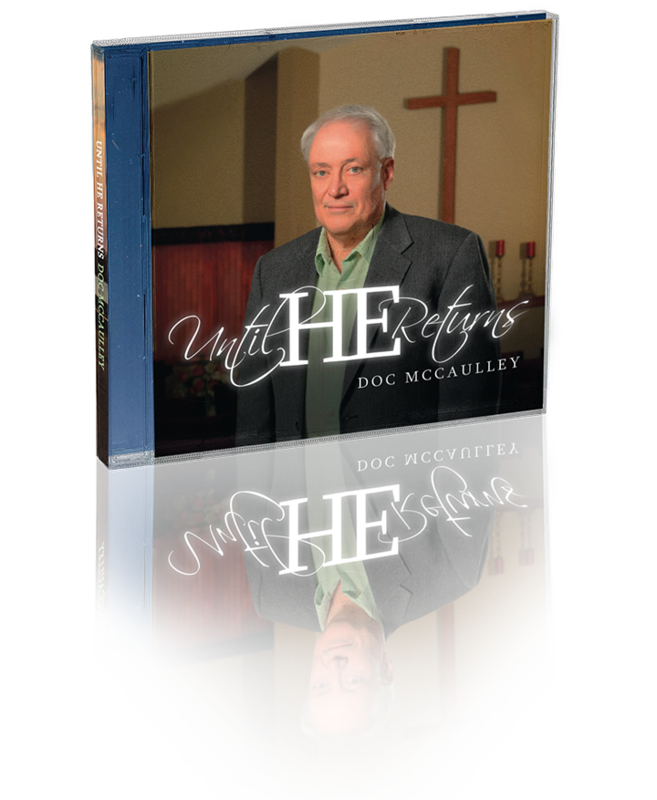 Doc’s stories explore the journey of becoming a Christian and keeping daily faith. Interested in scheduling Doc for an event? You can message and find Doc’s phone number below in the Contact section. Christian & Pop Music, Perry, IA @ PLH Spring Valley Retirement Comm. For questions about purchasing Doc’s album or booking Doc for an event, please contact Doc by phone or email. To send Doc an email, fill out all sections on the form to the right before hitting Submit. * Equation at bottom is required in order for message to be received. All music, visuals, and original content are the sole property of Doc McCaulley. Misuse, repurpose and resale of this content is illegal and subject to penalty of law.